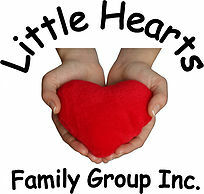 Little Hearts Family Group Inc. is made up of parents and families of children with acquired or congenital heart disease based in Saskatchewan, Canada. To see more Stories of Hope from around the province, click on this link. Heart Family Meet up – Regina – POSTPONED! Thank you to everyone who came out to support the Pediatric Cardiology Table on Valentines day! A big thank you to the more than 260 people who participated in tjhis year’s Heart Beats Run! It was cold day but many showed up to run/walk in support of our Pediatric Cardiac kids! All proceeds go to the Mending Little Hearts Fund of Saskatchewan which helps support Pediatric Cardiology in our province.